You KNOW that I love collaborations. Working with someone else on a creative project is ALWAYS inspiring and challenging. And there's that accountability too - I can bail on myself or get lazy or procrastinate but when I have a joint deadline? No excuses, baby. Keeps me honest. Keeps me creating. Keeps me moving. I learned the photography basics last year and now 2013 is all about working on those Malcolm Gladwell 10,000 hours. Not in one year of course. But you know what it's like learning a new creative skill - you need to put in the time and practice, practice, practice. So I mentioned that I'd be doing a few new collaborations and series this year. 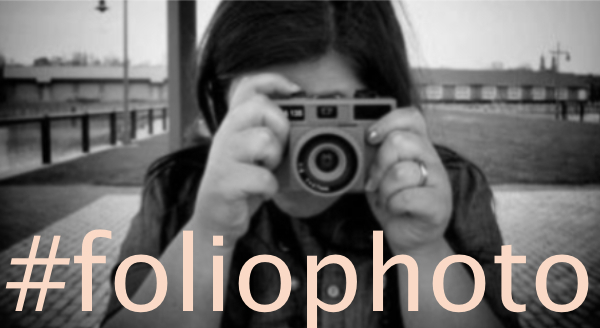 Well, here's the first one and it's a photography series - Foliophoto. And it's with the lovely and talented Christie ofBedsidesign. She's in Syracuse, NY and I'm across the continent in Vancouver, BC. Here's the deal. We've brainstormed a prompt list of words and each Tuesday we will pick one. Then during the week Christie and I will take photos inspired by that word and post our best photo the next Tuesday. Usual cross linkiness and all. We might throw in a little commentary about our photo and we'll be SURE to tell you what we used (DSLR, iPhone) and any post-production (this filter or that). And the genre too - I'll be starting off with the constraint of street photography no matter what the prompt. Photos will be posted by Tuesday, January 14th. We'd love you to join!